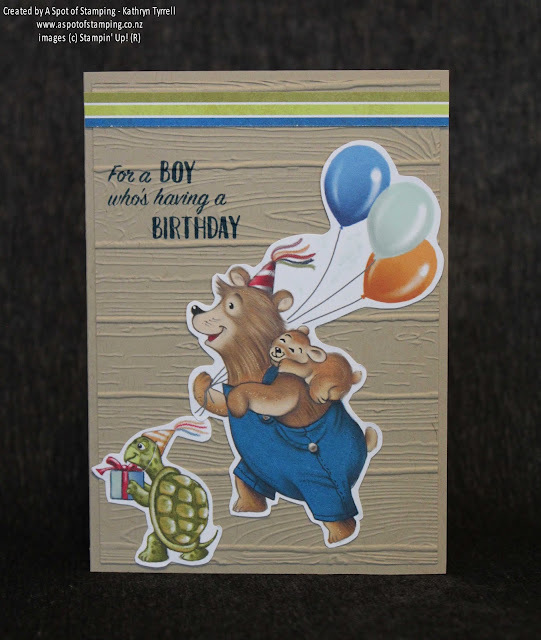 Here's a card for a sweet little boy who's just turned two. He happily pointed out the 'bear' and 'balloons' so I'm pretty sure he liked it. The background is the new Pinewood Planks Dynamic Embossing folder and I love it - it gives such a deep, textured look and I thought it worked perfectly for this card. One tip - don't do what I did. You might notice I've stamped directly onto the same piece of cardstock that is embossed. 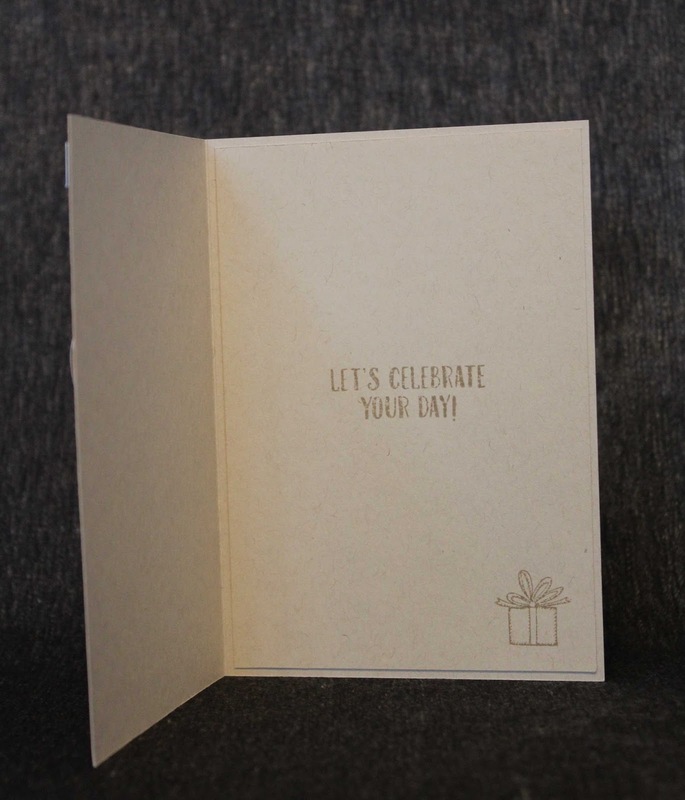 To do this, you need to stamp your sentiment before you run the embossing folder it through your big shot. However, with dynamic embossing folders, it is recommended you spritz the paper with water before you run the folder through to get a deeper impression. So I stamped my sentiment and then spritzed my paper and what happened... yes that's right, the ink on my sentiment ran all down the page! Because our ink is water based dye ink, and I never thought of it when I spritzed. With my second attempt I had two options, one I could stamp the sentiment on a separate piece of cardstock and adhere it on top, or two, I could run the folder through without spritzing it. I chose to run it through without spritzing it, because I wanted a streamed look and didn't want a sentiment adhered separately. It still turned out very well without being spritzed. For the animals, I've used the Birthday Memories Designer Series Paper and I've cut two of them out. If you're not into fussy cutting, this paper comes with co-ordinating framelits which cut some of the pictures out, however not these two guys. I've fussy cut them. Then I used a strip of the DSP along the top for a bit of added interest. And of course, you can't not decorate the inside of your card. It makes all the difference.